Direct download of full quality 1080p25 32 MBit version available until 8th December via WeTransfer. The video was recorded using Sony A7R with Zeiss FE 2.8/35 and Carl Zeiss / Contax Planar T* 85mm f/1.4 lenses. If you visited this article earlier, you may want to jump directly to the UPDATE. Oct./Nov. 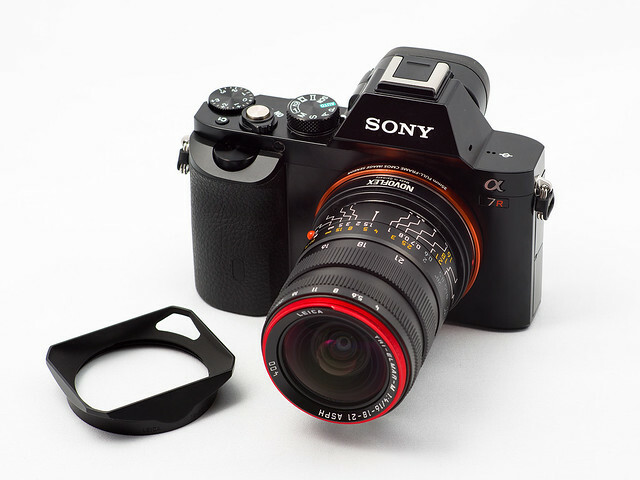 2013 - If you followed all that buzz and bashing on the new mirrorless fullframe cameras from Sony, the A7 and A7R (also named as ILCE-7 and ILCE-7R), you may have got the impression that these cameras are not suited to be used together with wide ange M-mount lenses from Leica, Zeiss and Voigtländer. My conflicting message is, that it will work perfectly fine, if you choose the right lens. You propably saw many articles like the "torture test" of Ron Sheffler, who came to the conclusion "Results on the a7 are for the most part disappointing. All I can surmise at the moment is that the toppings on the a7′s sensor work against achieving optimal (or in some cases, good enough) results with the rangefinder lenses I had available for this test". 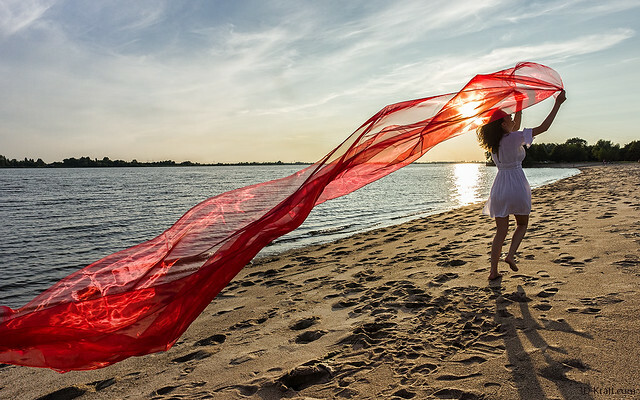 You propably also read Steve Huff's 1st impressions coming to the conclusion "But seriously, if you are primarily an ultra wide Leica M lens shooter, you may want to skip these bodies.". 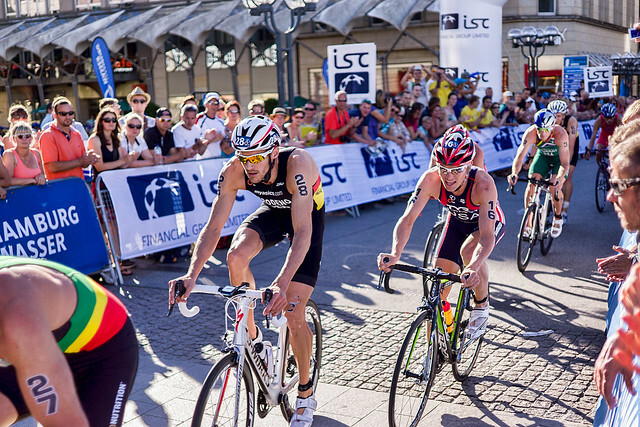 August 2013 - time for some summerly (re-)views. Before this autumn will propably distract us to new fullframe NEX camera bodies and lenses, let us compare some of the latest offerings in the range of bright ~35mm lenses with a field of view equivalent to a 50mm lens on fullframe sensors. 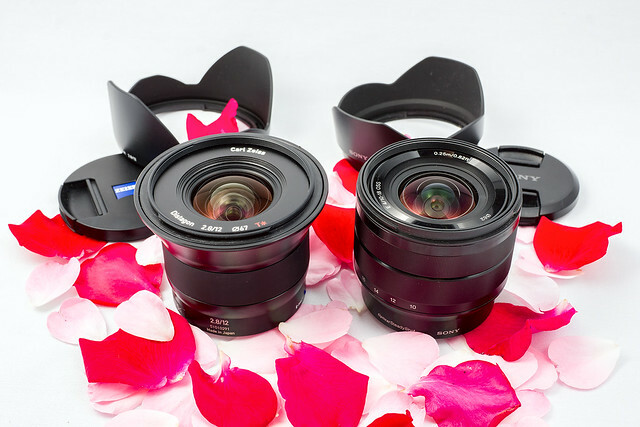 Beside some others, you can currently choose between the new Zeiss Touit Planar T* 32mm f/1.8, the Sony 35mm f/1.8 OSS and the SLR Magic HyperPrime CINE 35mm T0.95 (available from September 2013). 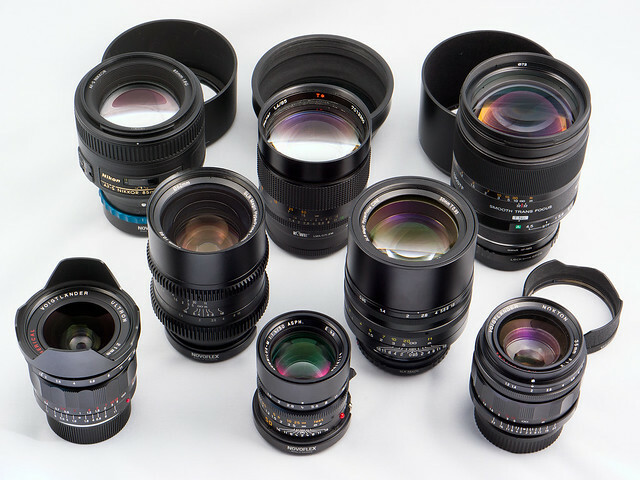 This article will provide you an in-depth comparison between these lenses. The Sony lens is a tad more compact than the Zeiss, the latter appears a bit more solid and with nicer haptics. July 2013 - If you are looking for an ultra wide angle lens for Sony NEX APS-C sensors based cameras, meanwhile you have an "embarras de richesses" between the new Zeiss Touit Distagon T* 12mm f/2.8 and the Sony 10-18mm F4 OSS zoom lenses. This article will provide you an in-depth comparison between these two lenses. 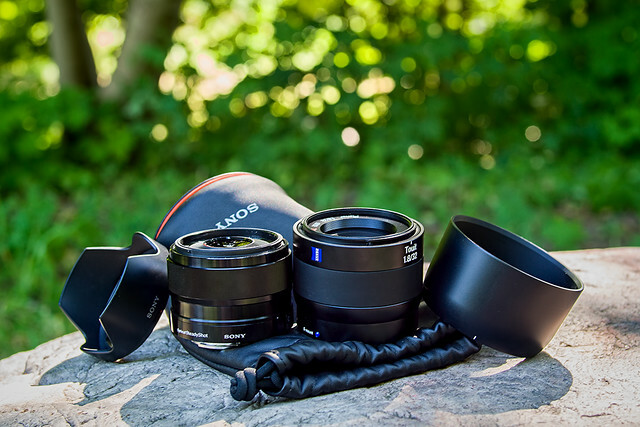 Both lenses are surprisingly lightweight and compact. The Sony wide angel zoom weighs about 260g, the Zeiss prime about 300g including lenshood and caps. If you compare that to a full frame ultra wide angle like the Zeiss Distagon T* 15mm f/2.8 (730g) or the Nikon 14-24mm f/2.8 zoom (about 1kg), these lenses will burden you (and your wallet) significantly less than their full frame equivalents for the price of about one F-stop less low light performance and DOF options than a comparable fullframe combination. 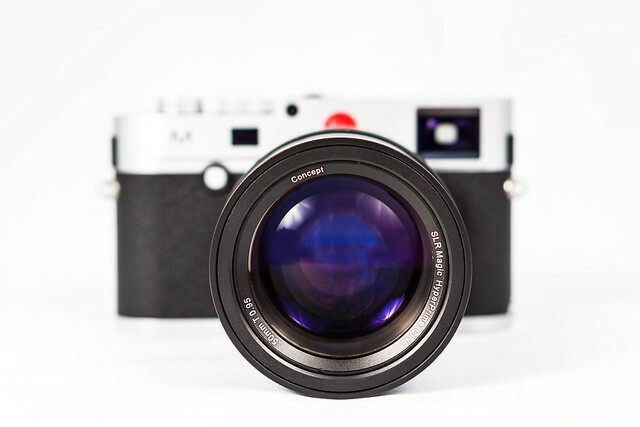 Still looking for the better Leica M? Since the first copies of the new Leica M (Typ 240) appeared on the market early March 2013, there is a vast disparity between supply and demand of the new Leica M (Typ 240) causing a lot of discussion in the corresponding camera forums. In addition these discussions are heated up by quite contrary reviews and user stories expressing the whole range between absolute excitement and deep frustration. This article tries to focus on objective facts and findings determined since I entered the M community in early April. The review is underlined by many real world examples taken with M-mount lenses from Leica, Voigtlander and SLR Magic as well as some adapted Nikkor lenses. Additionally you find a short comparison to the Sony NEX-7. Perhaps I may not be the typical Leica M customer as I do not care too much for the unique feature of the M: The optomechanical rangefinder. However this camera attracted me as it is currently the only mirrorless full frame digital camera on the market (except the Sony VG900 which is primarily a video camera) allowing to use all those really fantastic Leica M lenses and in contrast to the Leica M9 it is not limited to lenses with rangefinder coupling. Due to its live view and the optional EVF you can now use it for macro- and tele-photography and a wide range of adapted DSLR lenses as well aided by focus peaking and up to 10x magnification. Its new 24 MP CMOS sensor gains about 1 EV ISO performance and about 2 EV additional dynamic range compared to the CCD sensor of the M9 and allows to record 1080p videos at up to 25 fps with that camera as well. As I use a HyperPrime CINE 50mm T0.95 lens since about one year, I was also quite excited about that feature because at the moment it is the only combination allowing to use a 50mm f/0.92 full frame lens optimized for video. So the specifications and options sounded promising enough to ask my dealer to put me on the waiting list right in September 2012 when the camera was announced at the Photokina. In April I had the chance to get one in silver ("chrom") and immediately started exploring it. One of the first questions on my list was: How does the M with a Leica Summilux 50mm f/1.4 ASPH compare to the Sony NEX-7 with a SLR Magic HyperPrime CINE 35mm T0.95? (Please select HD 1080p and fullscreen in the player's button bar for best viewing experience. If you can not see the embedded video, please go to http://youtu.be/npIJ1OEz2Ic or http://vimeo.com/hhackbarth/flammenspuk. More photos can be seen in a Flickr-Album). The stills and motion pictures were captured with a Leica M (Typ 240) and the following lenses (mostly at open aperture): Leica Summilux 50mm f/1.4 ASPH, SLR Magic HyperPrime CINE 50mm T0.95, Nikon AFS-Nikkor 24mm f/1.4 G ED. Please note that the flabby sequences you may determine during motion video were not caused by the camera. Due to some shaky handheld recording the motion pictures had to be deshaked in post production.